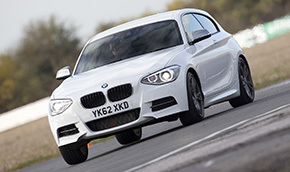 Global ECU remap specialist Superchips has announced four new conversions for BMW vehicles. Using its decades-worth of experience, the company can now offer additional performance for drivers of BMW vehicles using the F20/F30 turbocharged petrol engine and those with one of three versions of the 3.0d/xDrive turbo diesel. The turbocharged 1.6-litre petrol engine is found in the 118 model, with the F20/21 designation and in the 320 model, under the F30/31 designation. In both guises, it develops a useful 170PS from the factory but the Superchips conversion adds 32bhp at 5476rpm and 69Nm torque at 3012rpm, giving the car both additional acceleration and driveability. One version of the 3.0-litre turbo diesel on the other hand, used in the X3 35d, 335d, 435d, 535d, 640d and the 740d, produces 313bhp in factory trim while the Superchips conversion adds 42bhp at 4525rpm and a huge 77Nm torque at 2053rpm, greatly increasing the engine’s already impressive pulling power. The 245bhp version of the 3.0-litre diesel engine found in the 730d, the 530d/xDrive and the 530d/xDrive GT sees the largest gains though, with power increasing by 44bhp at 2991rpm and torque by a huge 107Nm at 2763rpm. Finally, the 258bhp variant of the same engine and used in the 730d, 530d, 330d, 430d and the X3 30d, sees an increase in power of 41bhp at 4076rpm and 92Nm of torque at 2685rpm. An additional benefit is that with the conversion in place, drivers can expect to notice an improvement in fuel economy of up to 7%, compared with a similar driving style. Both conversions use Superchips’ EPC device which, when fitted to the vehicle, optimises engine fuel, ignition and turbo boost settings. The device is fitted to the vehicle by one of Superchips’ nationwide dealers and the price of £449 includes labour* and VAT. The conversion is covered by Superchips’ no-quibble seven-day money back guarantee and the device itself is also covered by Superchips’ product warranty**. To see a video of the conversion for the 313bhp 3.0-litre diesel being tested, click the above hyperlink and then click ‘Related Media’.